The names and details of confirmed plenary speakers appear below. Please keep checking our website for updates. There will be a full day of pre-conference courses and workshops at the conference venue on Wednesday 30 May 2018. You can either choose to go to one workshop in the morning and another in the afternoon OR to attend the one full day workshop on pain management. You will need to register and pay for the full day of workshops when you register for the conference. For logistical purposes, once you have registered and paid for the full day of workshops, please fill in this form to let us know which one you will be attending. We are delighted to announce that the 3rd ICPCN Conference will host the very first screening in South Africa of the film Hippocratic: 18 Experiments in Gently Shaking the World exploring the life story of the acclaimed Indian physician, Dr MR Rajagopal a 2018 Nobel Peace Prize Nominee. The film ha been produced by Mike Hill and Sue Collins of Moonshine Agency. Even more exciting is that we have the enormous honour of hosting Dr MR Rajagopal as a keynote speaker at the conference as well as the film’s producers, Mike Hill and Sue Collins. 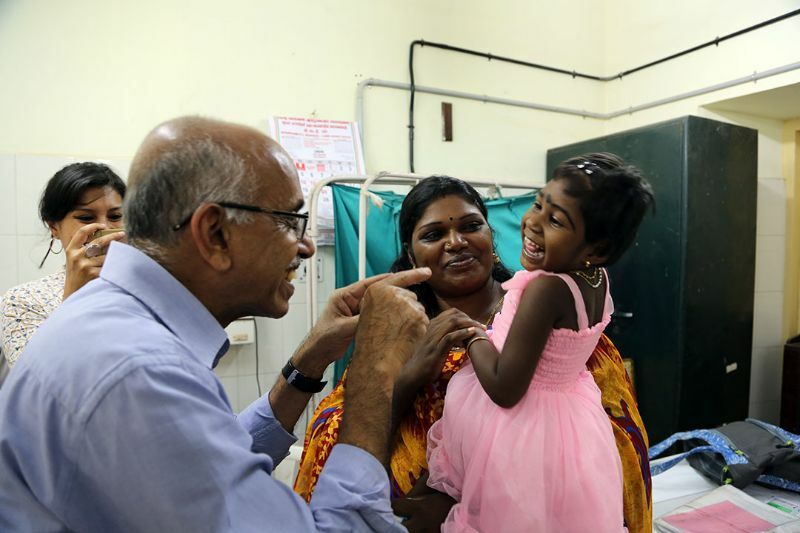 This exquisite film, narrated by David Suchet CPE, tells the story of an extraordinary global health leader in Dr MR Rajagopal, or Dr Raj, who is described by the New York Times as ‘the father of palliative care in India’. Dr Raj is a small man with a big dream: a pain-free India. His mission is to bring ethical practice to modern medicine through whole person care. To achieve this he must provide universal access to essential, and heavily restricted, pain medicines. Most of all, you will be inspired by the impact that can be made by a small body of determined spirits fired by an unquenchable faith in their mission and altering the course of history. You can learn more and watch the trailer for the film here. Dr Marie-Charlotte Bouësseau is Adviser at the Department of Service Delivery and Safety at the World Health Organization in Geneva. After receiving her Doctor of Medicine degree from Paris University, Marie-Charlotte Bouësseau practiced cardiology in France for several years before undertaking post-graduate studies in epidemiology, social sciences, and philosophy in France and Chile. Since 1995, her activities have been wholly focused on questions of global public health and bioethics. During almost 10 years, she worked in Chile, where she took part in several projects of co-operation and set up a Bioethics Unit in the Ministry of Health. In November 2002 Dr. Bouësseau joined the World Health Organization, in Geneva, for the creation of the Ethics and Health Unit established by the Director General. She led the activities of this team during six years and coordinated numerous projects in the field of public health ethics and research ethics, especially in low and middle income countries. In May 2013, she was asked to work with the WHO Department of Service Delivery and Safety. Within the WHO framework on Integrated People Centered Health Services, she leads a number of initiatives related to palliative care, ethical donation and use of medical products of human origin, genomics and global health. The common goal of these initiatives is to promote respectful and quality of health care using innovative approaches and ensuring the active engagement of the patients and their communities. 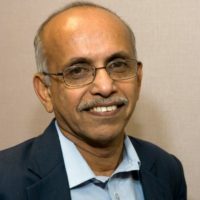 Dr Rajagopal is a 2018 Nobel Peace Prize nominee. He is the director of the WHO Collaborating Center at Trivandrum, Kerala for Policy and Training on Access to Pain Relief, and the founder-chairman of “Pallium India". His initiatives to remove regulatory barriers in availability of oral morphine for pain relief have contributed significantly to the recent Amendment of the NDPS Act of India in 2014. His initiative has also contributed to the development of a Government policy on Palliative Care in the state of Kerala in 2008 and Government of India's National Palliative Care Strategy in 2012. In 2014, Human Rights Watch honored him with Alison Des Forges award for "Extraordinary activism in promoting the notion that denial of pain relief is a violation of human rights". In 2017, a documentary film titled "Hippocratic: 18 experiments in gently shaking the world" based on Dr. Rajagopal’s contributions to palliative care was released by Moonshine Agency, Australia. In 2017, he was named one of the 30 most influential leaders in hospice and palliative medicine by American Academy of Hospice and Palliative Medicine (AAHPM). Dr Pat Carragher has been the Medical Director for Children’s Hospice Association Scotland (CHAS) since 2006. 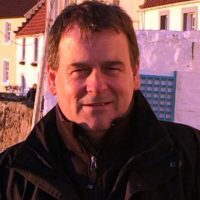 This post involves a mixture of “hands on” clinical care for babies, children and young people with life shortening conditions in Rachel House, Robin House and in various hospitals across Scotland, but also local, national and UK representative strategic work, mixed with elements of research. He has been the Chair of the Association of Paediatric Palliative Medicine, and in 2013 he was elected as a Fellow of the Royal College of Paediatrics and Child Health. 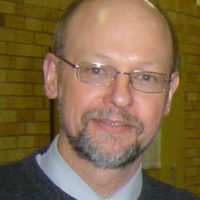 In 2016 he took on the role as Chair of the Scottish Children’s and Young People’s Palliative Care Executive (SCYPPEx), which is refreshing a national children’s resuscitation policy in Scotland and is working, as part of the Strategic Framework for Action in Scotland, to contribute to the improvement of palliative care for all in Scotland. Sister Frances trained as a nurse at the Hospital for Sick Children Great Ormond Street and the Middlesex Hospital before joining the Society of All Saints, an Anglican Religious Community in Oxford. She was elected Mother Superior for twelve years and continues as a sister. 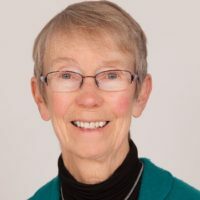 She founded Helen House the world’s first children’s hospice, which opened in 1982 and, in 2004, Douglas House, the first hospice for young people to the age of 35.Sister Frances is a trustee of The Porch which offers day-long support for homeless people. She is currently appealing for £1,500,000 in order to provide better services. She is a Deputy Lieutenant of the County of Oxfordshire, and has received Honorary Degrees from four universities. She was awarded an OBE in 2006, and received the Woman of the Year Award in 2007. Professor Julia Downing is the Chief Executive of the International Children's Palliative Care Network (ICPCN). She is an experienced palliative care nurse, educationalist and researcher, with a PhD that evaluated palliative care training in rural Uganda. She has been working within palliative care for 27 years, with 17 of those working internationally in Uganda, Africa and Eastern Europe. She is an honorary professor at Makerere University, Kampala, and works as an International Palliative Care Consultant and was the team leader on a project funded by the European Union to develop palliative care in Serbia. She has extensive experience in developing palliative care services, policy, clinical care, education and research. 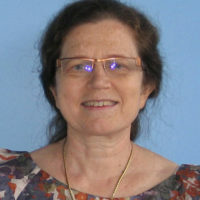 She is an experienced presenter at conferences and writing for publication, and is on the editorial board of the International Journal of Palliative Nursing (IJPN). 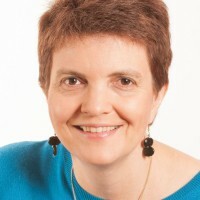 Professor Downing was the recipient of the IJPN’s Development Award in 2006, the Robert Tiffany Lectureship from the International Society of Nurses in Cancer Care (ISNCC) in 2014, and the 2015 Oncology Nursing Society Foundation (ONS) Pearl Moore “Making a Difference” International Award for Contributions in Cancer Care. She serves on the boards of several international non-governmental organizations in Africa, and in the UK is on the executive committee of the Palliative Care Research Society. She is also an Honorary Research Fellow at the Cicely Saunders Institute Department of Palliative Care, Policy and Rehabilitation, at King's College London, and a Visiting Professor at Edge Hill University, and the University of South Wales. Professor Downing is on the Board of the International Association of Hospice and Palliative Care (IAHPC) and the Worldwide Hospice Palliative Care Alliance (WHPCA). When not working in palliative care, she is a musician and is involved in running a music school in Kampala, and various local choirs and orchestras. She is also the Director of Music at her local church. 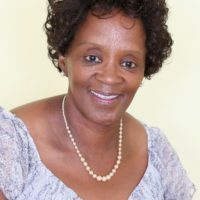 Linda Leonora Ganca lectures and convenes the palliative care undergraduate programme at the University of Cape Town (UCT) Faculty of Health Sciences within the School of Public Health and Family Medicine. She has a background in Education and Social Work. She also teaches and co-facilitates in the palliative medicine postgraduate diploma course and supervises MPhil students. Linda has a keen interest in research with focus on qualitative methods. Attaining a Social Work degree in her mature age opened a door to palliative care when she joined St Luke’s hospice in Cape Town. It is there that she discovered Palliative Care, which she describes as a way of life. She therefore integrates teaching and social work to inspire both young and old on how to support individuals (and families) facing the challenge of being diagnosed with a life threatening illness. Linda is passionate about children and works closely with ICPCN, PatchSA and Paedspal. 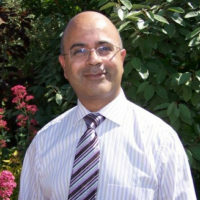 Dr Sat Jassal (MBE) is a full time senior partner general practitioner and medical director of Rainbows Children’s Hospice in Loughborough, Leicestershire heading a team of 4 doctors on a 14 bedded unit that deals with children and young adults. He has been a GP for 28 years and has worked in children’s palliative care for over 24 years. He has written and edited the Rainbows Children’s Hospice Symptom Control Manual, co-authored the Oxford Handbook of Paediatric Palliative Medicine, and is editor of the PANG guidelines. He is an editor of Synopsis an abstract journal. He is chair and editor of the APPM Master Formulary. He helped develop the NICE guidelines for PPC as well as the RCPCH education and training curriculum in PPC. Dr Jassal is a lecturer at Cardiff University in Paediatric Palliative Medicine. He has been awarded FRCGP, an honorary FRCPCH and in 2014, an MBE. 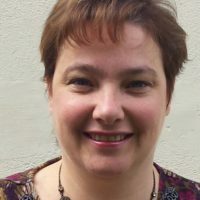 Dr Lacerda is a paediatric oncologist working in Lisbon, Portugal, with a very special interest in the implementation and development of paediatric palliative care (PPC) in her country. After graduating from Lisbon University Medical School, she completed her pediatric residency at NYU Medical Center, where she was drawn to the needs of children with complex chronic conditions. 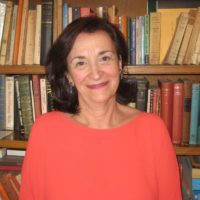 While completing an MSc degree in PC at King’s College London / Cicely Saunders Institute she begun raising awareness about the unmet needs of Portuguese children and families. 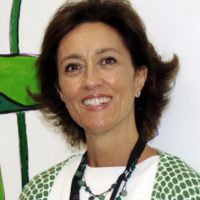 She received the Dame Cicely Saunders Prize for Academic Excellence in Palliative Care (2014), for her thesis “Cause and place of death of children and adolescents in Portugal (1987-2011): an epidemiological study”. 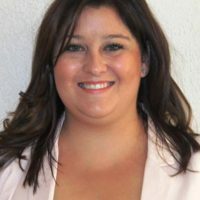 She coordinates the PPC Taskforces at the Portuguese Association of PC and the Portuguese Pediatric Society, is a founding member of the Portuguese Observatory of PC and works closely with the Ministry of Health, while teaching PPC at Nova Medical School. She is also a member of the EAPC Paediatric Taskforce. Dr Neil McKerrow is the Head: Paediatrics and Child Health for KwaZulu-Natal (South Africa) and therefore responsible for health services for children across the province. His interest include child health, health systems and social paediatrics. Dr Meiring is a Paediatrician with a special interest in Palliative Care and Chronic Pain Management. She is the Founding Director of Paedspal, an NGO that provides a paediatric palliative care service to public and private patients in Cape Town. Academically she convenes the Post-Graduate Diploma in Paediatric Palliative Medicine at UCT. An active advocate, Dr Meiring chairs PatchSA (the South African Children’s Palliative Care Network) and is engaged in policy making nationally. Dr Regina Okhuysen-Cawley is a pediatrician in Houston, Texas and is affiliated with Texas Children's Hospital. She received her medical degree from Universidad Autonoma de Guadalajara and has been in practice for more than 20 years. 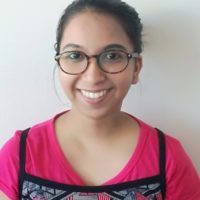 Having grown up in a resource-limited environment, and having witnessed much avoidable suffering and preventable deaths, she is passionate about health care delivery to the critically ill and early integration of palliative medicine for children with serious illnesses. Danai Papadatou is a Professor of Clinical Psychology at the School of Health Sciences, Dept of Nursing, of the National and Kapodistrian University in Athens, Greece. Her clinical experience, research interests, and publications focus on issues related to pediatric palliative care, childhood and family bereavement, health care professionals’ responses to death and community trauma. Her most recent book in English is entitled: In the Face of Death: Professionals who Care for the Dying and the Bereaved. She is also the co-founder and president of “Merimna”, a Greek non-governmental association for the care of children and families facing illness and death. “Merimna” is the only association in Greece that provides pediatric palliative home care services and bereavement support for children, adolescents, families, schools and communities. 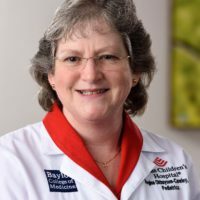 She has received various international awards for her teaching, research, publication and professional service in the field of pediatric palliative care, and childhood bereavement support. I am Huyaam Samuels, a 19-year-old female living in Cape Town, South Africa. I am also living with a rare medical condition and fighting on a daily basis with chronic pain, for which I am on daily medication. I am the Youth Ambassador for PatchSA (Palliative Treatment and Care for Children) I am extremely passionate about Children’s Palliative Care as I believe it is an essential and crucial part of living and giving children a chance to live life and not just exist. They- the children- from all around the world need a voice and be given a chance to be heard. I am honoured I get to be that voice on behalf of all those who are unable to speak up. I can represent them passionately, honestly and wholeheartedly. I am currently a volunteer with the World Hospice Palliative Care Alliance as well (WHPCA). Children’s Palliative Care is what I love, live and strive for.